Q: Any valentine in the world pampers his partner, reciprocates the love, etc. 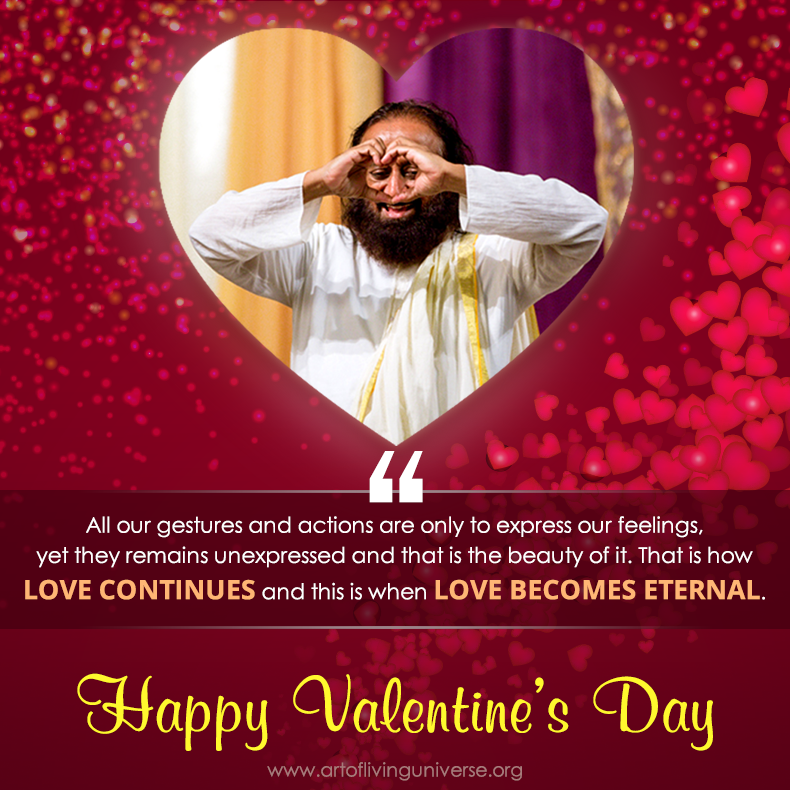 How can we find the same satisfaction in the Divine Valentine? Sri Sri Ravi Shankar: The Divine has already pampered you enough. Know that you are already pampered so much. And it will continue.